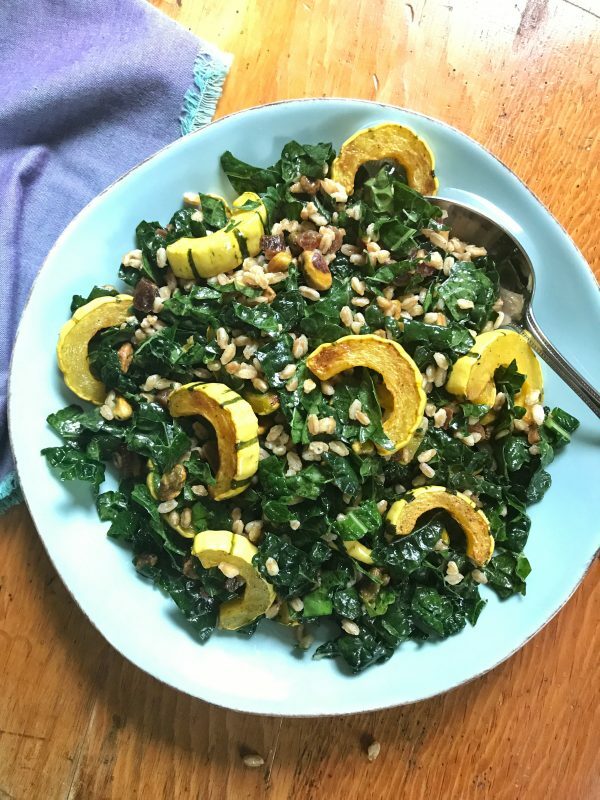 Roasted delicata squash is the star ingredient in this hearty kale salad made with farro, shelled pistachios, and sweet bites of dried apricots. 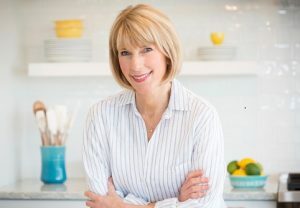 Serve as a simple autumn side dish or turn into a main meal by topping with your family’s favorite protein: grilled shrimp, salmon, chicken, or cubes of baked tofu. 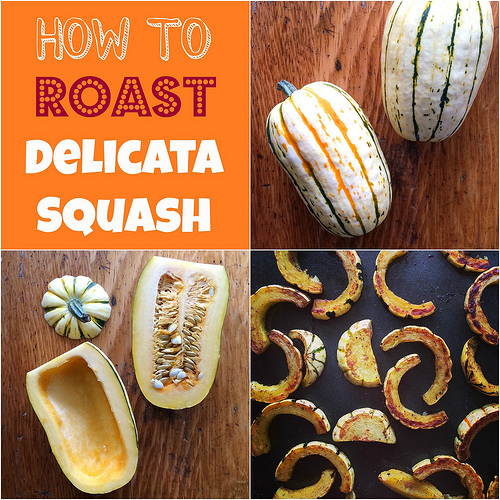 Have you ever tried delicata squash? 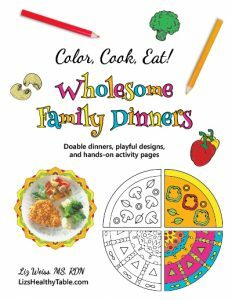 It’s surprisingly easy to cook. Simply slice in half, scoop out the seeds, cut into 1/2-inch half moons, and bake for 20 minutes. 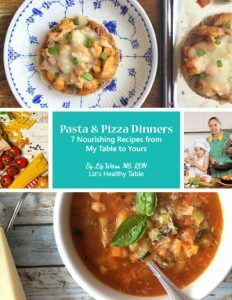 Here’s a link to my step-by-step delicata cooking guide. 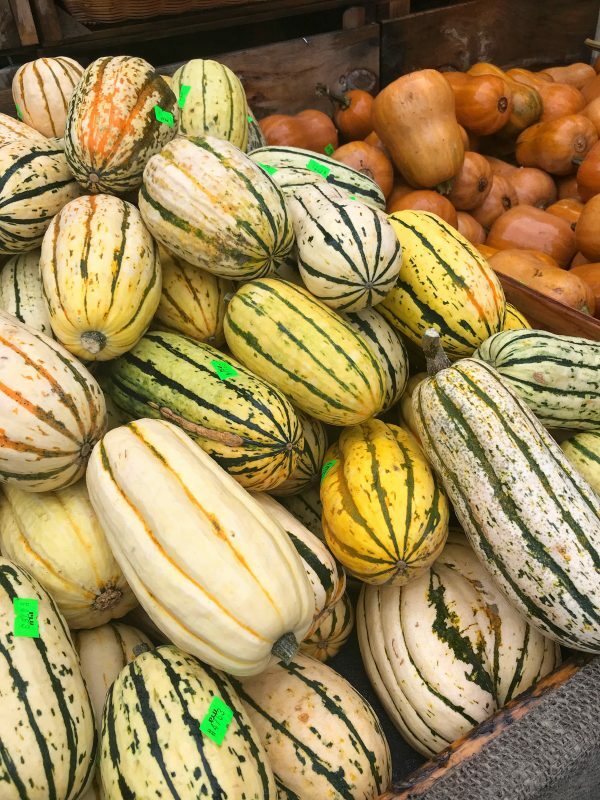 Have you spotted delicata squash at your local market? I took this picture at Wilson Farm in Lexington, MA. I’m there pretty much every day. Yup. I’m totally spoiled. This is my new favorite salad. 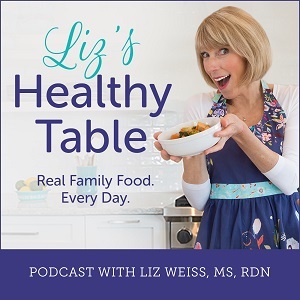 I feel super healthy after I eat it, but it's the flavors and textures that really wow me. 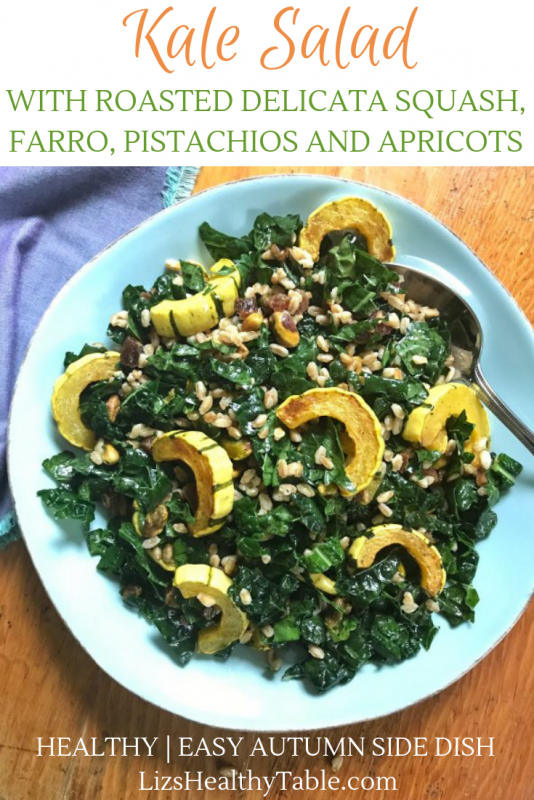 Sweet roasted delicata squash and apricots pair up perfectly with the hearty greens, toothsome farro, and crunchy pistachios. If you can't find tuscan kale, swap in any other kale variety. Preheat the oven to 425°F. Lightly coat a large, rimmed baking sheet with nonstick cooking spray and set aside. Slice off the pointy stem of the squash. Cut in half lengthwise, remove the seeds, and cut into ½-inch slices. Place the squash slices and oil in a mixing bowl and toss until the squash is well coated with the oil. Place in a single layer on the prepared baking sheet, season lightly with salt and pepper, and bake for 20 minutes, turning each slice halfway through (I use tongs to turn the slices but you can also use a spatula or a fork). Meanwhile, place the kale and salad dressing in that same mixing bowl. (No need to wash it!) Toss to coat, and gently massage the dressing into the kale using the back of a spoon or spatula. To assemble, add the cooked farro, apricots, pistachios, and cooked squash to the bowl and stir gently to combine. I cooked the farro in water according to package directions. I added about a quarter of a vegetarian bouillon cube to the water to impart flavor to the farro as it cooked. 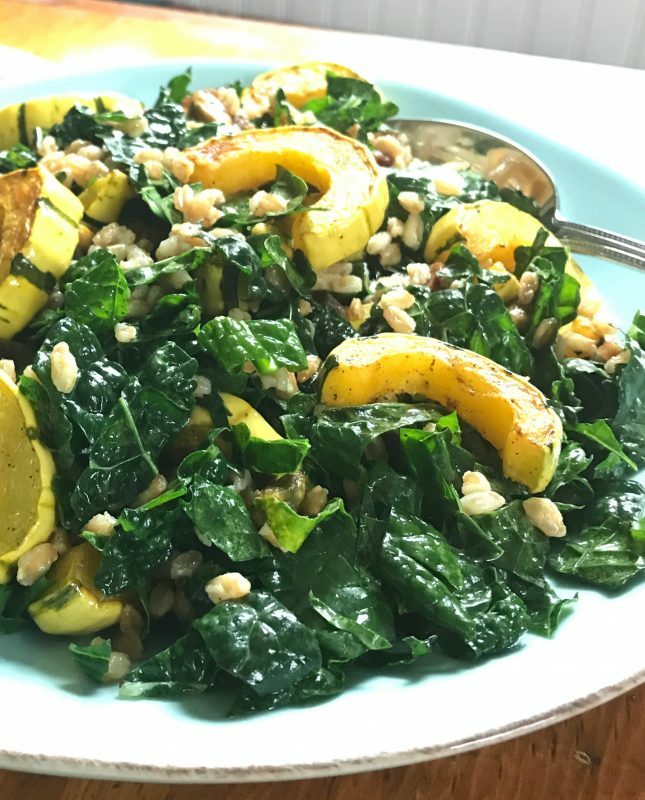 Do you have a favorite delicata squash recipe? Do tell!